St Mary’s Secondary School, Ballina won this year’s Perpetual Trophy at the Grand Final of the Mayo Schools’ Debating Competition, with specially commissioned medals presented to winning team winners Jennifer Burke and Laura Campion, while Hazel O’Grady of Sancta Maria College, Louisburgh won the medal as the Best Individual Speaker. 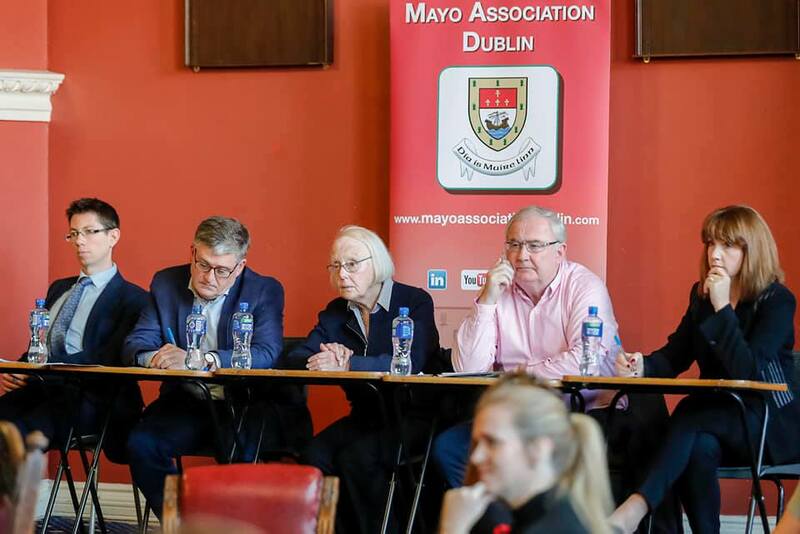 Mayo Association Dublin Schools’ Debating Competition, sponsored by MAYO.ie and Bank of Ireland, Mayo, held its Grand Final in Trinity College Dublin on Saturday 17 November. The motion for debate ‘That this house believes that the story of Cinderella is no longer suitable for our children’ produced a lively debate, with speeches of exceptional ability on both sides. 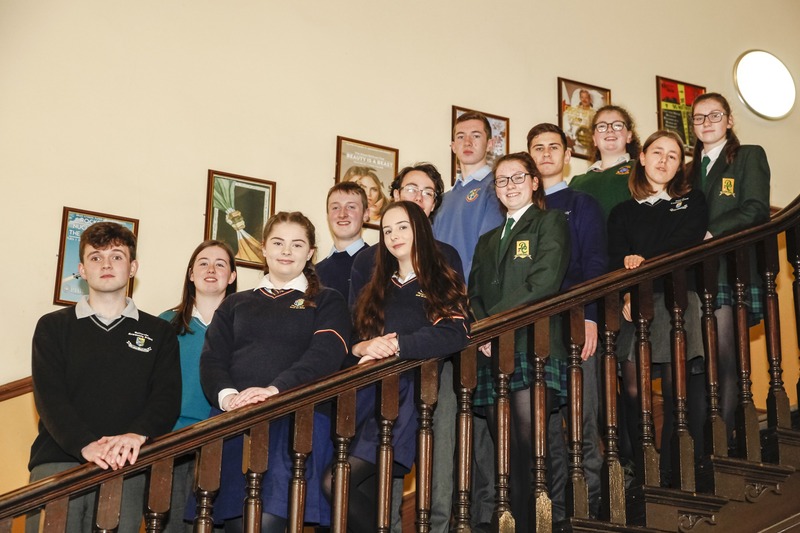 Students from Ballinrobe Community School; Ballina’s St Mary’s Secondary School; Sancta Maria College, Louisburgh; Castlebar’s St Gerald’s College and Davitt’s College; St Louis Community School, Kiltimagh, and Scoil Muire agus Padraig, Swinford. This was the second year of the competition, which is under the patronage of Dr Mary Robinson, following the huge success of last year’s inaugural event. The final was hosted by the College Historical Society, ‘the Hist’ (the oldest student debating society in the world). And society members commented afterwards on the high calibre of debating skills from all of the young students. The adjudicating panel was again chaired by Ms Justice Mary Laffoy, and included Pat Rabbitte, Dr Carmel Heaney, Padraic Lyons, BL and Iarla Mongey. The panel of adjudicators pictured (l-r): Padraic Lyons BL, Iarla Mongey, Ms Justice Mary Laffoy (chair), Pat Rabbitte and Dr Carmel Heaney. Ms Justice Laffoy, who presented the winners with their prizes, paid tribute to all of the speakers for the high standard of their contributions. 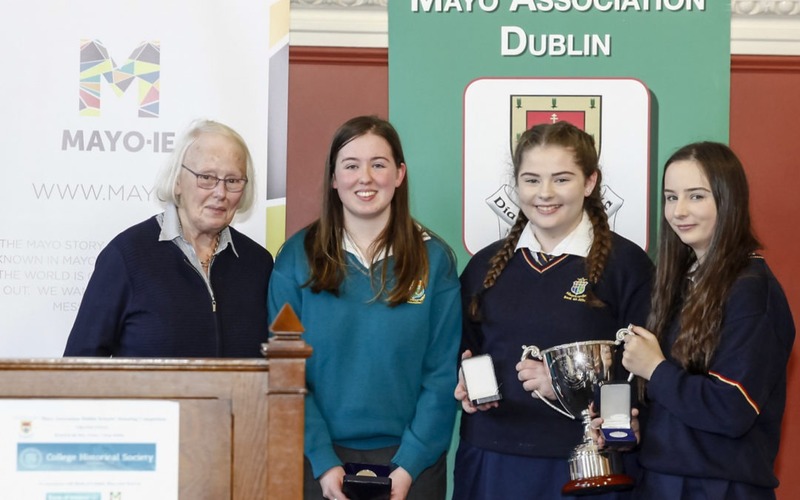 Julie Doyle, Chairperson of Mayo Association Dublin, said that the standard of debate in the final was extremely high and the students performed brilliantly. Mayo Association Dublin would like to thank MAYO.ie and Bank of Ireland, Mayo and to GMIT Castlebar for all their support, and to the students, teachers, parents and adjudicators whose hard work and commitment has made the competition such a success.